Comcast NBCUniversal LIFT Labs offers founder-focused speaker programs, mentor sessions, and online resources to help entrepreneurs grow and manage their companies. 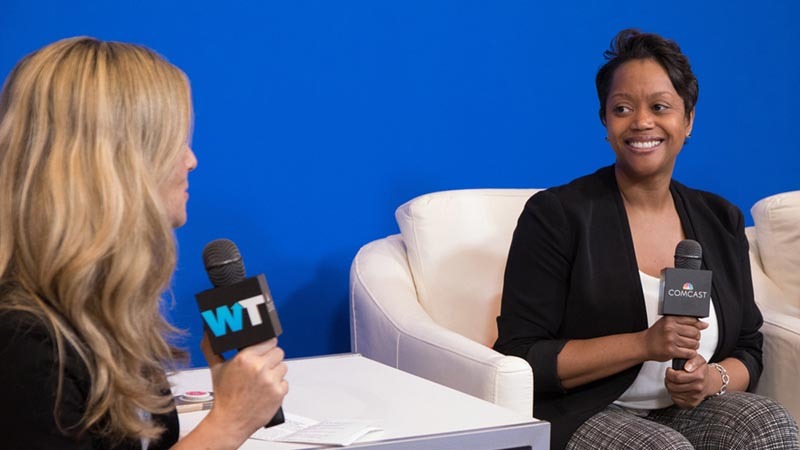 As part of the Executive Advice Series, Ebony Lee, Senior Vice President, Strategic Development at Comcast, shares insights to help emerging companies build strong teams. For a startup, every hire is important. But, what skills, characteristics, and culture lead to the greatest potential to build that high-performing, successful team you need to launch and grow your emerging company? For Comcast’s Ebony Lee, it’s all about balance. As Senior Vice President of Strategic Development at Comcast, Lee has built and led teams big and small to help drive notable innovations for the company. Over the course of her career – working with startup ventures and large enterprises – she’s realized there are some universal truths for building a high-performing, dynamic team. “You want to be clear about what your end goal is and purposefully build your team to achieve that goal,” says Lee. This mix is often made up of introverts and extroverts, creatives and analytical types, people who have different workstyles and come from different backgrounds. The more that a team can bring diversity of thought, opinion, and perspective to a project or problem, the stronger that team – and the better the product – will be. Once founders identify candidates who may fit well with their startups, it’s important to ask questions that go beyond traditional interview queries. Finally, Lee says a strong culture is built on trust. How do you cultivate trust on a team? Lee points to strong communication across the team and cultivating an environment where there’s no fear in sharing different ideas, trying new things, and failing from time to time. It also helps to encourage employees to spend time with each other outside of the workplace – even just occasionally. To read more inspiring startup stories and to stay connected to Comcast NBCUniversal LIFT Labs, sign up for our newsletter and follow us on Twitter.